CHARLOTTE, N.C. – Panthers coach Ron Rivera isn’t the least bit concerned about Cam’s Newton’s sudden dip in production. He believes most of it is not his quarterback’s fault. The 2015 NFL Most Valuable Player has completed just 57 percent of his passes for 450 yards with five interceptions and one touchdown in losses to the Bears and Eagles. That’s a dramatic dip from Newton completing 77 percent of his passes for 671 yards with six touchdowns and one interception in Carolina’s previous road wins over the Patriots and Lions. Rivera is quick to point out that Carolina’s recent turnover problems and offensive struggles can’t be pinned solely on Newton, especially considering his receivers have bobbled two passes resulting in interceptions and another pick was tipped at the line of scrimmage. 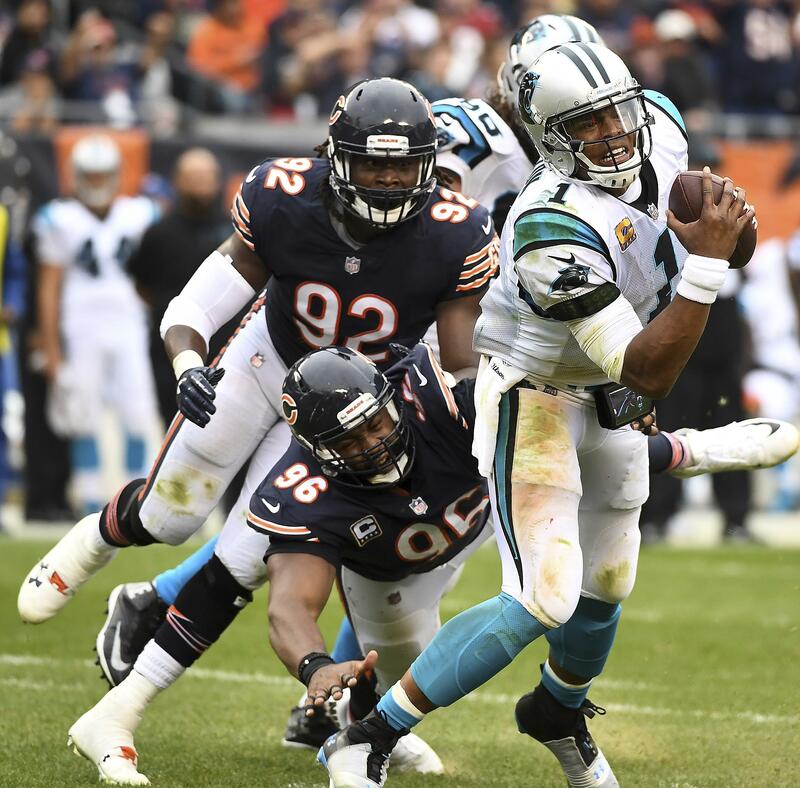 The Panthers have had four weeks in a row where they have gained at least 300 yards on offense, but there is concern among the fan base after they were held to just a field goal in a turnover-plagued 17-3 loss to the Bears. Newton said Wednesday that his focus is to win football games, regardless of the numbers. The Panthers (4-3) are a half-game behind the Saints in the NFC South entering their game Sunday at Tampa Bay. Part of that lethargy can be attributed to the lack of big plays. Since speedy wide receiver Ted Ginn Jr. left in free agency, the Panthers haven’t been able to find a reliable deep that can stretch the field and open things underneath. They did, however, reacquire wide receiver Kaelin Clay off waivers Tuesday from Buffalo, about a little more than a month after trading him to Buffalo. Rivera is hoping that Clay, who could be active on Sunday against the Bucs, can help an offense that recorded just one pass play of longer than 20 yards in the last two games. When asked Wednesday if the Panthers have the wherewithal to pick up “chunk plays” on offense on a consistent basis, Newton appeared agitated by the question. He rolled his eyes and said “next question.” He paused for a brief second and abruptly exited the news conference. Newton’s frustration is felt by most of the players on offense. But Shepard said things can change with one play. Published: Oct. 25, 2017, 4:44 p.m.